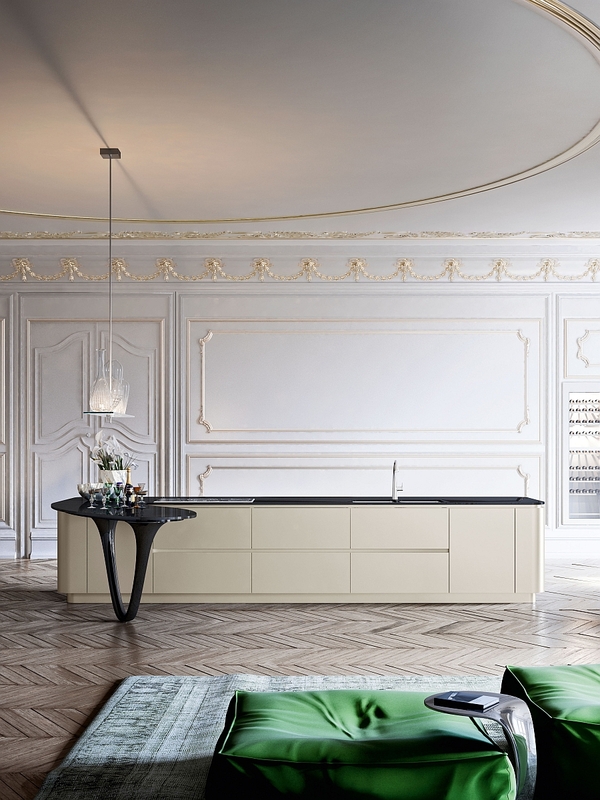 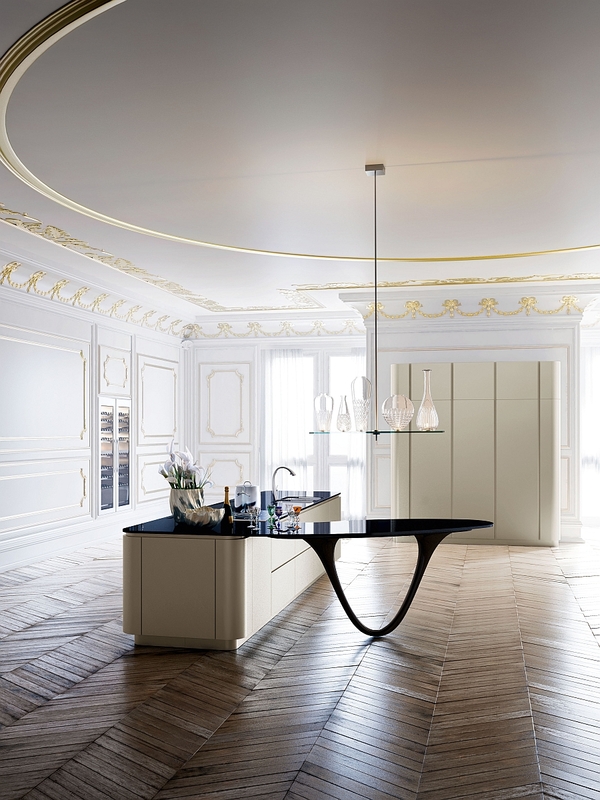 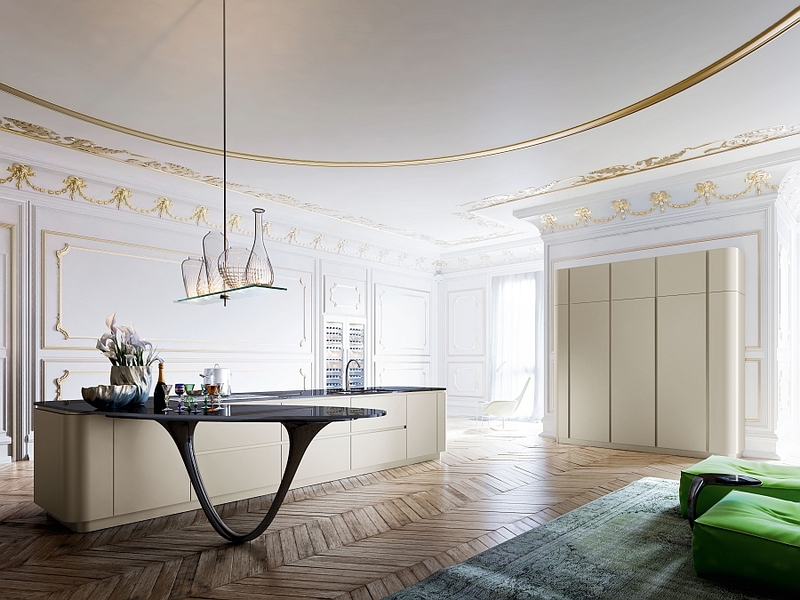 Bringing together the fabled worlds of Italian motorsport and timeless Italian design, the latest limited edition kitchen designed by Pininfarina and built by Snaidero is all about reinventing your home in sizzling style. 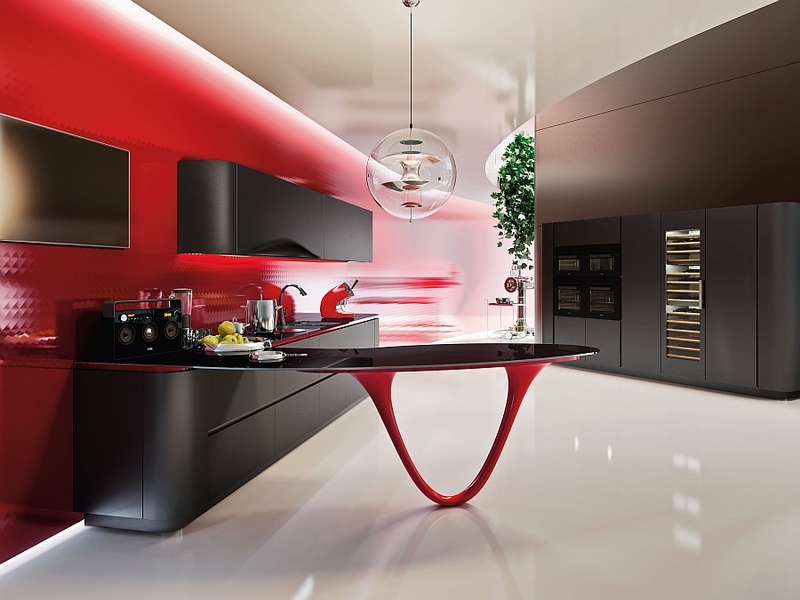 Celebrating 25 years of partnership between the two Italian firms, the amazing OLA 25 Limited Edition kitchen seems to park that audacious Ferrari right in your kitchen! 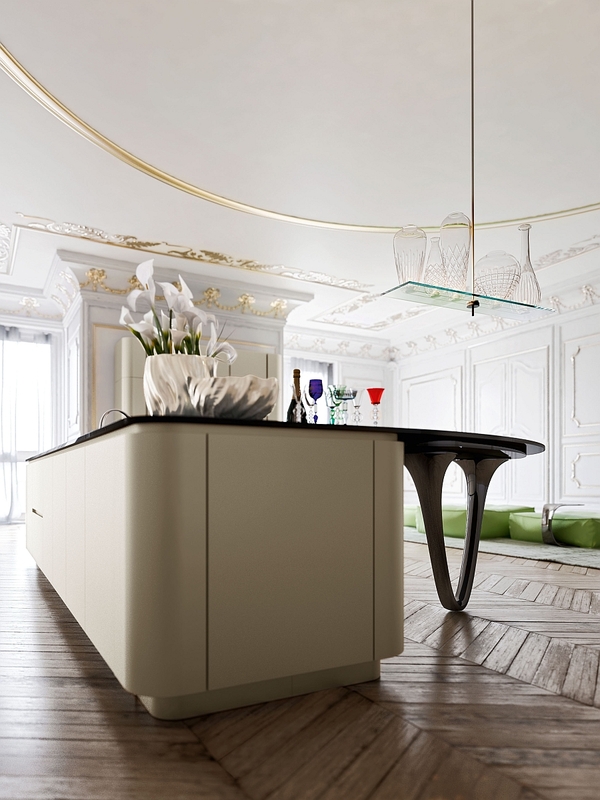 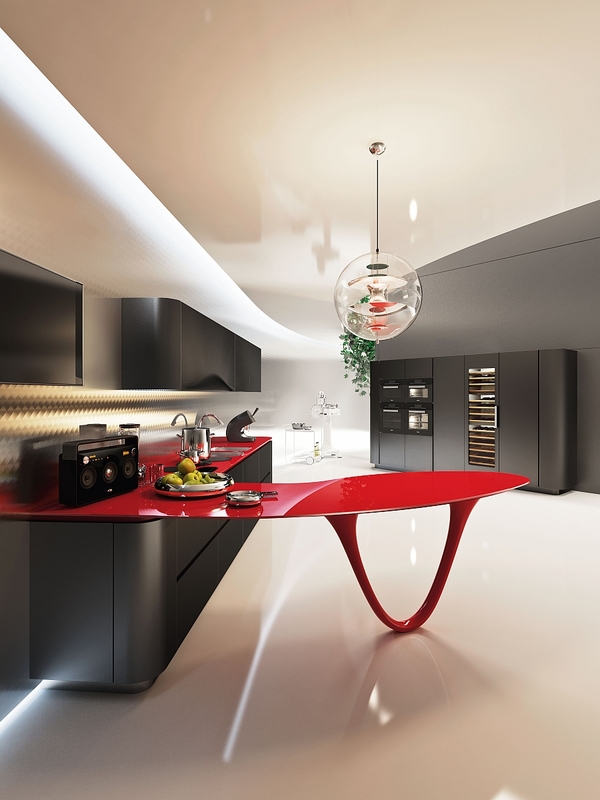 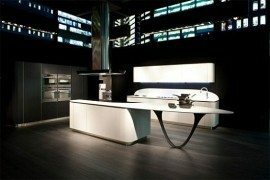 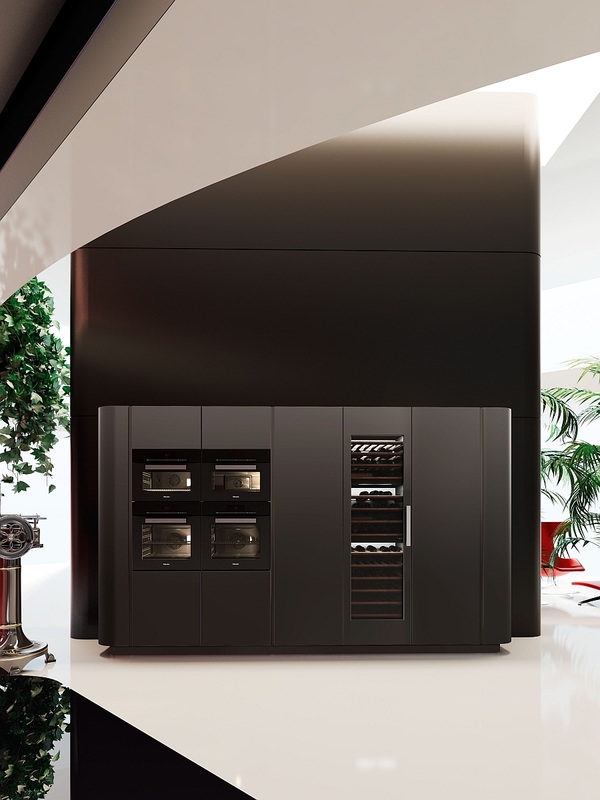 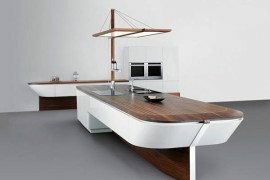 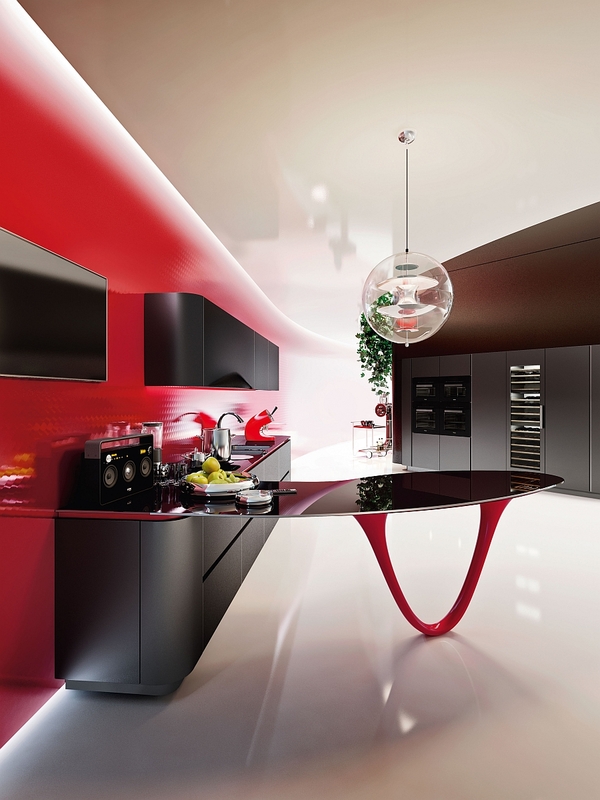 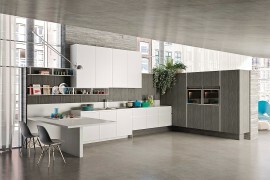 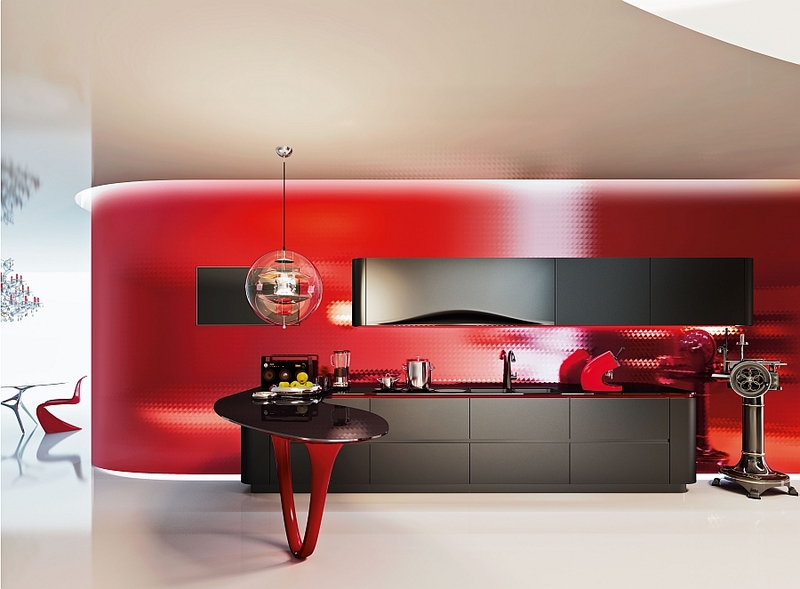 Obviously the designs of Sergio Pininfarina, the man behind many concept cars from Ferrari, played a key role in defining and shaping this truly remarkable kitchen that is available in three different color schemes and 84 different components. 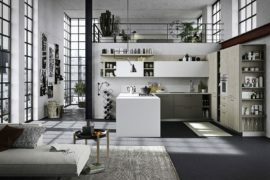 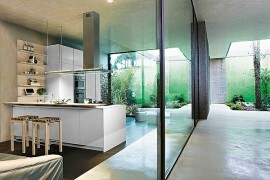 The sensuous design of the kitchen itself is largely inspired by the original OLA kitchen that was designed by Snaidero 25 years ago and yet manages to turn heads even still today. 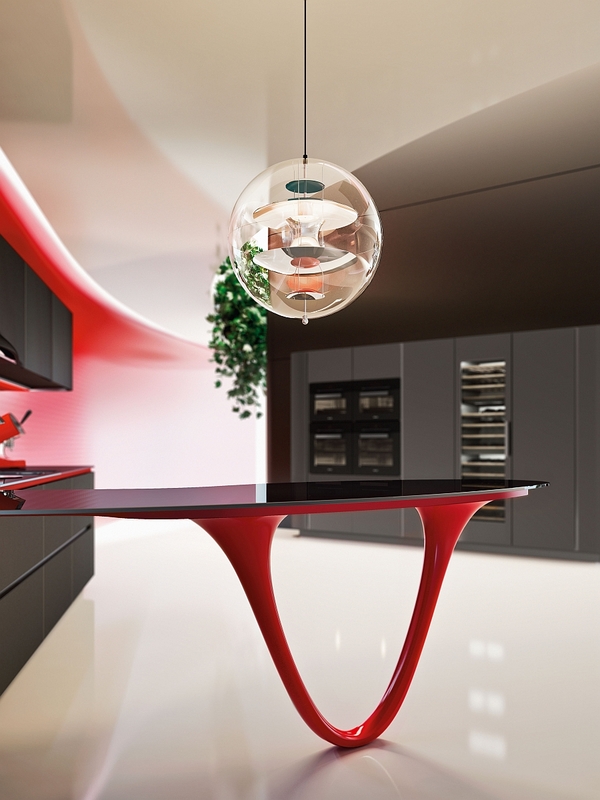 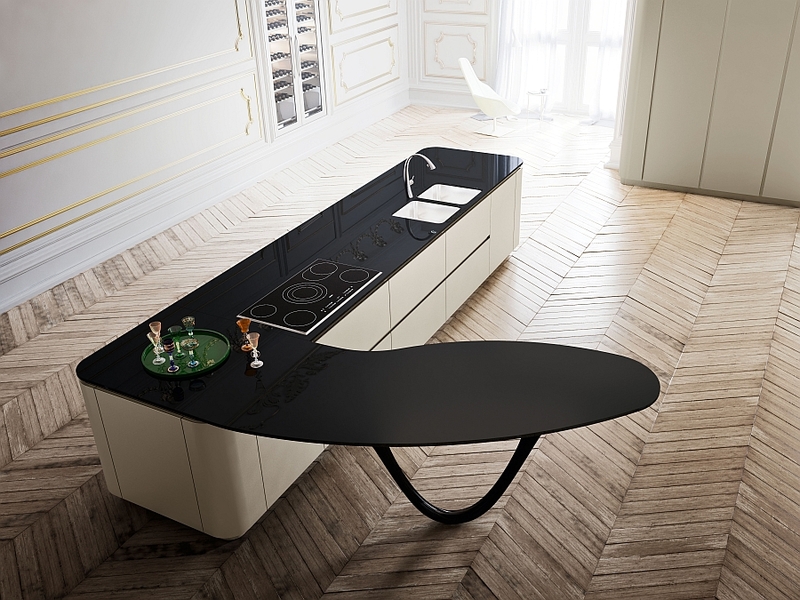 A sculptural peninsula gives the kitchen its trademark look, while a carbon fiber worktop in glossy black lacquer finish ensures that it has a futuristic allure. 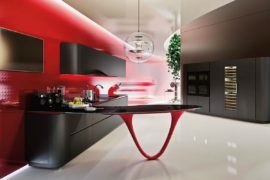 The red and black version is arguably the best of the lot and seems to be the most effective at evoking the memory of riding in a Ferrari or even being in the presence of one. 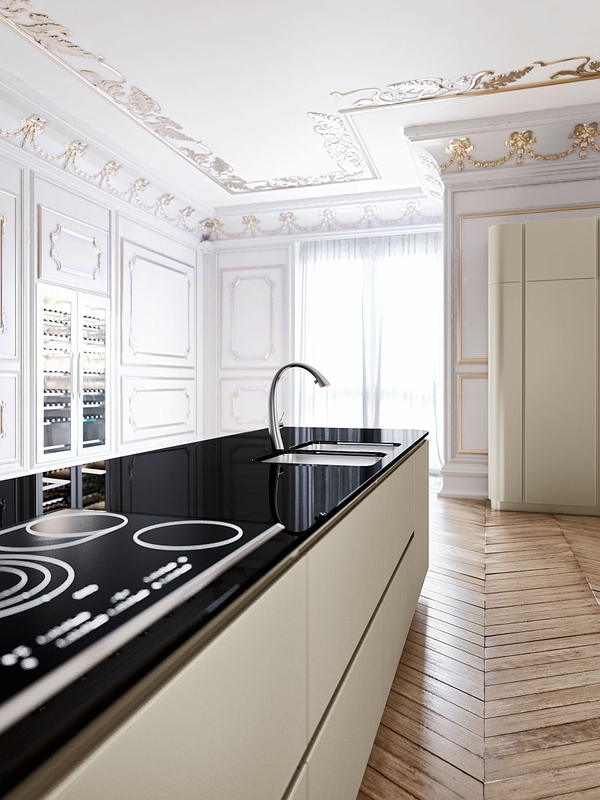 Creating a perfect fusion between extravagant form and flowing functionality, the OLA 25 surpasses the standards set by its predecessors in the lineup. 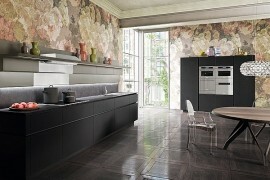 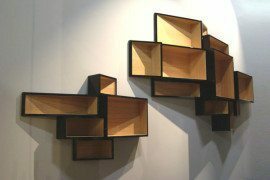 Exclusive, elegant and visually mesmerizing, it truly is a masterpiece!